Romance is the way that you demonstrate your love and respect for your partner on an ongoing basis. Through your words and actions you let your partner know that he or she occupies a central place in your life. the state that follows an agreement made with one's partner to nurture acts and thoughts that cherish qualities of each partner as special, unique, and irreplaceable. Both these researchers tell us that to experience true love we need to know each other, in the deepest and greatest sense of that word. We need to take the time to explore and discover our partners as remarkable individuals, to understand their needs and feelings, to fully appreciate both what we have in common and what makes us different. And we need to allow ourselves be known, to reveal our innermost selves. We have to be vulnerable with each other. Creating this kind of relationship takes time, and it requires trust. Trust develops through open communication, shared experiences, physical affection and sexual intimacy, and through situations which allow the partners to demonstrate, in both small and large ways, their trustworthiness. 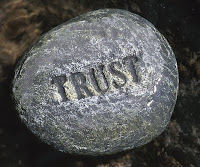 If trust is missing, the partners are on guard; love cannot progress and may eventually be withdrawn. When there is a strong sense of trust, the partners are free to move forward together, allowing their love to grow as their relationship becomes more deeply satisfying. Beautifully said. It is so important to remember this because if trust is lost it may never come back.